Hazak welcomes Paul Mack Somers, Bay-Atlantic Symphony director of adult education on April 16 at 1 p.m. to Temple Beth Sholom, in Cherry Hill. 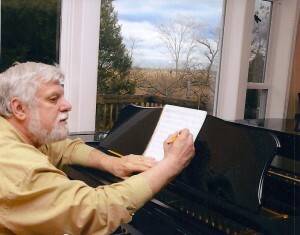 Somers studied composition with Warren Benson and George Andriz at Ithaca College and participated in master classes with Norman Dello Jolo under a Ford Foundation grant. Somers has lectured at Lincoln Center in New York on “Les Six and the Modern Esthetic.” As director of adult education for the Bay-Atlantic Symphony, he gives lectures on various topics in four southern New Jersey counties. He is also the founder of Maurice River Music, was for 25 years the harpsichordist for the Virtuoso Strings of New York, and was a reviewer for the Star Ledger. To attend, RSVP by April 10 to Zelda Greenberg at (856) 751–4201 or email her at zbgreenberg@yahoo.com. The entire community is invited. The cost is $10 for guests. Members are admitted free. Refreshments will be served.